SHEMAR MOORE'S PARADISE has a new contest starting on Monday, August 24. One lucky member will win a set of Season 4 DVDS. Contest details are posted in the SHEMAR TALK section of the Paradise Message Board. Season 4 is due out on DVD on September 8. Shemar was spotted by the paparazzi on Thursday night coming out of a local LA restaurant after having dinner with friends. He was walking with a cane. As most fans know, Shemar was injured in a cycling accident on August 1 and suffered a broken leg. Our handsome Shemar looked a little pale and wan, compared to the Shemar we are used seeing. Sending love out to you Shemar, for a quick and complete recovery. Looking forward to seeing that magnetic smile of yours again soon. You can see the photos at: www.concreteloop.com/2009/08/guess-who-walking-with-a-cane?cp=2. 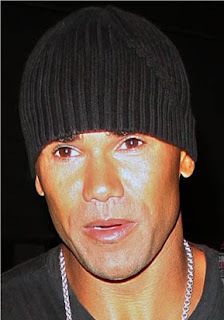 Take note that there are many haters on the site whose comments attack Shemar for not looking as good as usual. It is hard to believe how hateful some people can be, and how lacking in compassion for what Shemar has been though in the past few weeks. TWEET! Did you know that Shemar Moore has a twitter account? He "tweeted" a very nice thank you this week to his fans, friends and family for the their love and support since his accident. There are many fake Shemar accounts on the web, but this one is the real deal. The address is http://twitter.com/ShemarFMoore. You might want to check out the smokin' photo on his home page of shirtless Shemar in a pair of boxer briefs. A&E Entertainment is showing blocks of CRIMINAL MINDS. 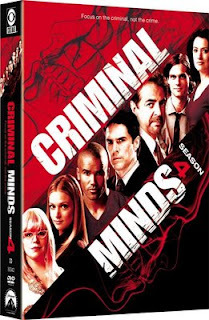 Episodes are shown with limited commercial interruption.You can view the schedule at http://aetv.com/criminal-minds/.